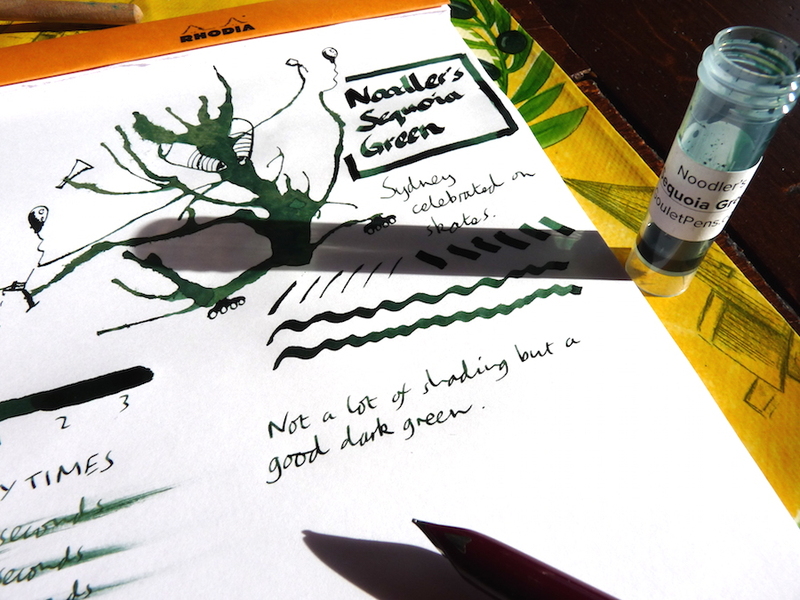 Noodler’s Sequoia Green ink review – Pens! Paper! Pencils! This is a good dark green that’s fairly well behaved on good paper. A slight hint of shading. 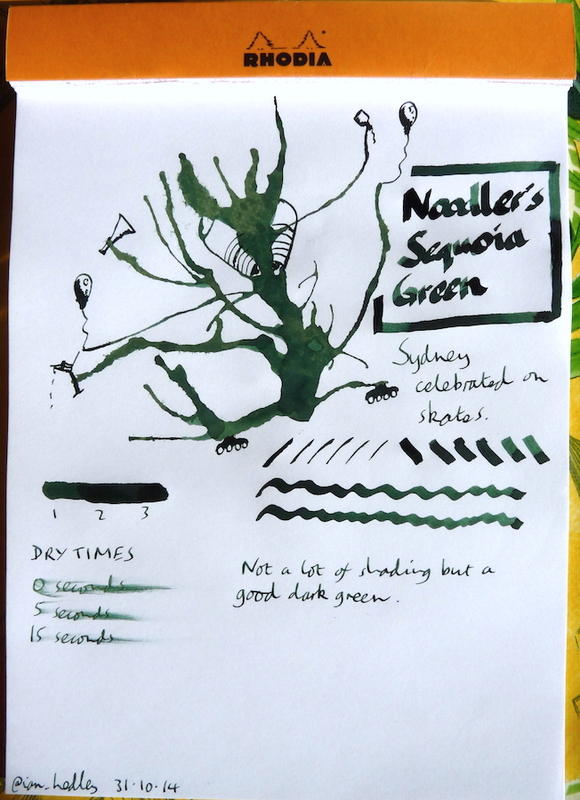 You can find some more reviews of Noodler’s Sequoia Green on Pennaquod.